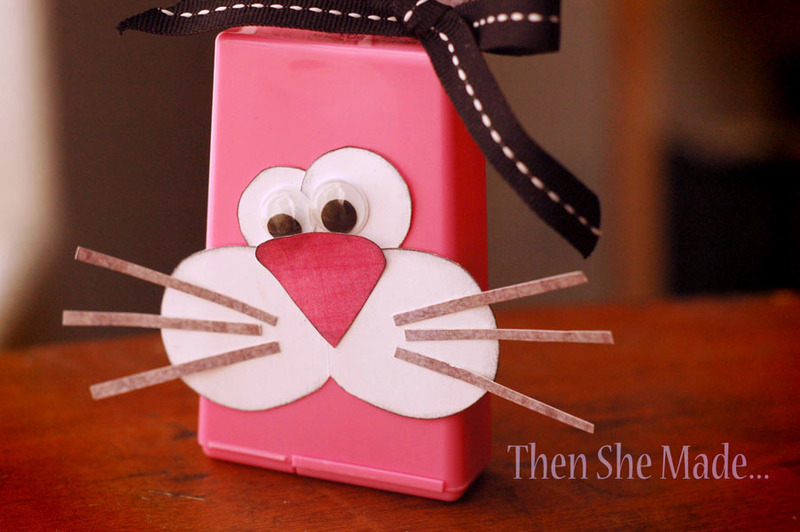 Then she made...: Gum Bunny! Does "Gum Bunny" kind of sound like "Some bunny?" or "Somebody"? However, let's just pretend it does. 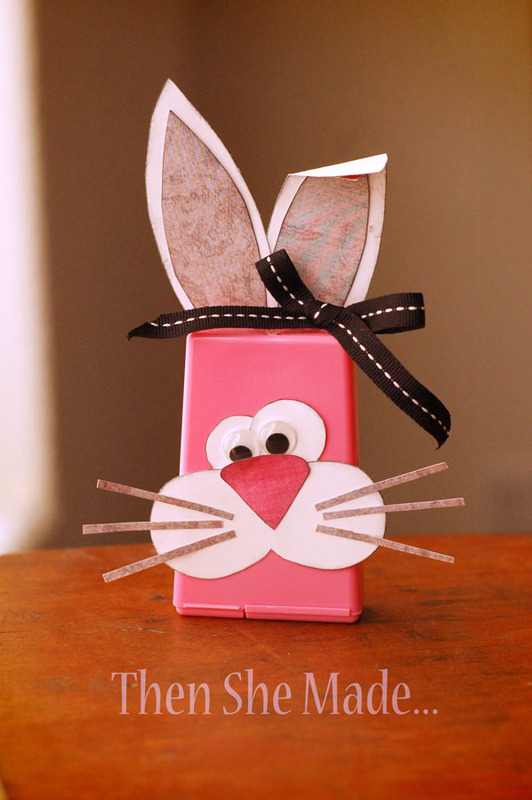 Here's a fun little project that you can make from a pack of gum that "Gum Bunny" out there might love. I mean, somebody out there. 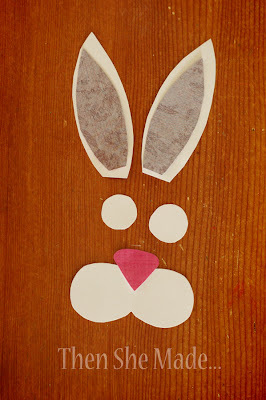 I used white cardstock and cut out the mouth, eyes, and ears. Then I used a small dark pink scrap and cut a nose that kind of looks like a guitar pick. And, finally, two gray pieces that go in the ears. Not Shown: Next, I grabbed my black ink pad and inked around all the edges of the paper pieces. This just helps them stand out more and gives it a more finished look. 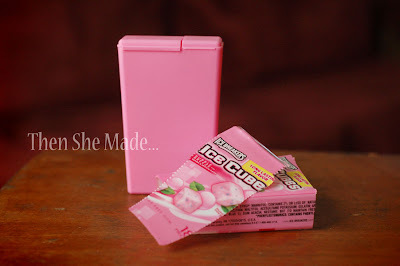 Then, take your gum package and turn it upside down so that the opening is on the bottom and then glue on all your pieces. I used glue dots. After I put on all the main pieces I also added googly eyes and some gray whiskers. I thought about teeth but stopped with the whiskers. And, finally I added a small little bow because, well, everything looks better with a bow. Then I bent one ear down just for good measure. Seriously, don't you think that "Gum Bunny" out there would love to find this waiting for them in their Easter Basket? 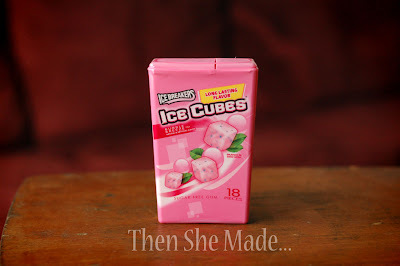 Plus, it was super easy. I made it in less than 15 minutes and if the girls had been home, it would have been a fun little project to do together so they could give them to friends. And, before I close this post - don't forget about the drawing over at McHoot in Chicago you could win one of my necklaces but hurry and enter because the contest ends April 2nd. Busy Me and a Happy R.A.K.